Comment: Ants (winged) are coming into my house from the front porch area. Wanted them stopped, killed. Comment: hello looking for someone to help with a yellow jacket problem on the back porch. Yellow jackets have been going into the siding above porch door for a few weeks. I have seen increasing activity. I can't see a nest because of the siding and entry point is about 7 to 8 feet off the ground on back porch. Looking for a one time treatment/ extermination. Comment: treatment for subterranean termites. "Wood Be" Impressions A Div. Of Eco Safe Pest and Wildlife Maintenance Inc.
Parkesburg Pest Control Services are rated 4.62 out of 5 based on 1,581 reviews of 13 pros. 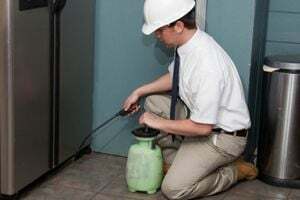 Not Looking for Pest Control Contractors in Parkesburg, PA?